In Australia the “Southerly Buster” is the name given to the cooling wind that breaks the searing heat and is welcomed by all. Buster was built in 2014 and launched in May of that year. It was the last Southerly 32 to be built and the only one with the new window design giving the boat a thoroughly modern look.. The boat is finished in Maple joinery below decks and is fitted out to a high specification. The design criteria was to embody the established features of the Southerly within a hull to fit a 10m mooring whilst providing good live aboard facilities and excellent sailing performance. The result sets very high standards which will appeal to many; comfortable cockpit with good storage, wide side decks for safe footing, easy to handle rig with self tacking jib, light and airy interior with accommodation to sleep up to six people. Under sail, the Southerly 32 is fast and exhilarating - and a real pleasure to helm. The modern hull shape with plumb stem and long waterline length provides impressive sailing performance whilst the broad transom, twin rudders and Whitlock direct rod steering gives instantly responsive helming and exceptional directional stability - making the yacht easy to control. Single line mainsail reefing and a Furlex on the self tacking jib makes sail handling easy – ideal for family or short handed sailing. The self tacking jib means you can tack spontaneously, allowing you to sail in conditions that a conventional sail plan may not allow, such as in a harbour or congested sailing area. For off wind sailing the gennaker can be flown from a removable bowsprit. The unique Swing Keel provides deep draft performance (deeper than most yachts), for powerful windward performance. 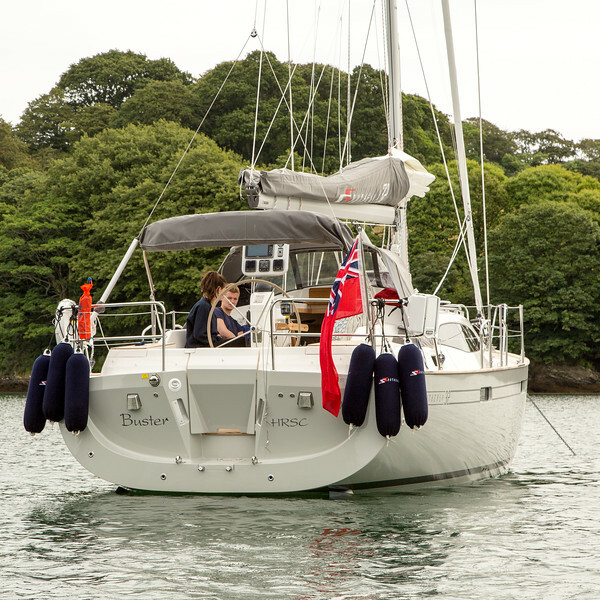 At the 'touch of a button' the keel can be raised to just 2'4'' for shallow draft freedom, allowing you to sail in coastal areas and inland waters. As with all Southerlys, the yacht will also dry out and sit upright.